Montgomery, AL (February 2013) – Industrial Partners, LLC announced today that it has obtained the exclusive listing to market and sell Montgomery based MetroFitness health club & spa. Both the building and the business, located at 7150 Halcyon Park Drive in Montgomery, are for being offered for sale with an asking price of $3,300,000. The 25,000 square foot facility is located in the award winning Metro Montgomery area. MetroFitness health club and spa, acknowledged by the local populace as being the facility with the highest level of features and services in the Montgomery area, opened in January 1999 and has been voted “Best Health Club” in Montgomery on a continuing year-by-year basis. The club features state-of-the-art equipment and is known for its quality customer care. The MetroFitness building can easily accommodate over 60 group exercise classes a week, and also includes an indoor running/walking track, sauna, steam room, fully equipped showers and locker room, yoga studio, cycle studio along with other features normally expected from an award winning club. 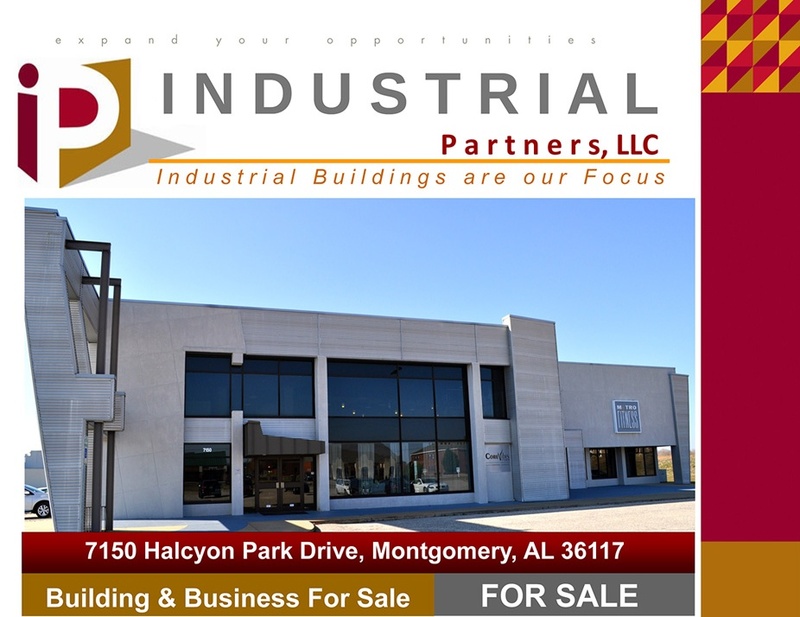 Industrial Partners is a Commercial/Industrial Real Estate Services firm that has been providing clients in Montgomery and throughout Alabama with commercial real estate services since 1974. Industrial Partners, LLC maintains a portfolio of over 2,000,000 sq. ft. of masonry, pre-cast concrete, or tilt-up building with spaces available from 3,630 sq. ft. to 150,000 sq. ft. In addition, land is owned in several industrial parks and Industrial Partners has the experience and expertise to design and build a facility to meet your company’s specific needs and requirements.